Wood’s Body Shop is a full service auto body repair facility that uses state of the art equipment and supplies to repair any year, make or model vehicle to pre-crash condition. 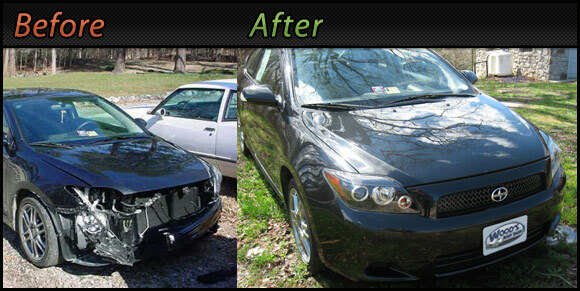 We work with all major insurance companies and happily service those “out of pocket” repairs. Vehicles are repaired using 3M materials and the PPG Envirobase refinishing system inside our Garmat paint booth. Other capabilities include free computerized estimates, computer scan tools, MIG welding, plasma cutting, and a 360° Blackhawk frame machine. Family owned and operated for over 30 years, Eddie Wood opened Wood’s Body Shop in 1975 and has since handed the management of the business to his son, Tony. Since its start, Wood’s Body Shop has seen many industry changes and has remained competitive by instituting necessary technological advances to remain viable and reliable in today’s market. Wood’s Body Shop, LLC is conveniently located in New Kent County, Virginia between Richmond and Williamsburg, 5 miles east of Bottoms Bridge on Route 60. 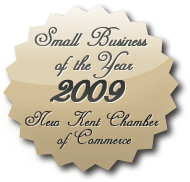 Come in for a free computerized estimate today! Wood’s Body Shop also sells used and rebuilt cars, trucks and SUV’s. Check out our used car lot page for current stock.